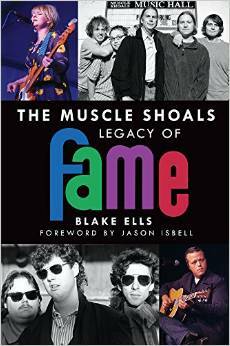 “The Muscle Shoals Legacy of FAME” – The conversations. It’s been some journey, but technically, you can now purchase the book at Alabama Booksmith. I even stopped by last week and signed a few, in the event that someone can’t wait until Monday. By all means, go. Buy. But three. They make great gifts. I let them tell it themselves, largely. The first signing is at Alabama Booksmith on June 29 from 4-6 p.m. I’ll be in Florence bookending Handy Fest, on Saturday July 18 at Pegasus and on Friday July 24 at the Florence-Lauderdale Public Library. Those will include conversations and performances. I’ll be in Montgomery on July 10 from 11-2 p.m. at Goat Hill. I hope y’all come out. Thanks for your support.